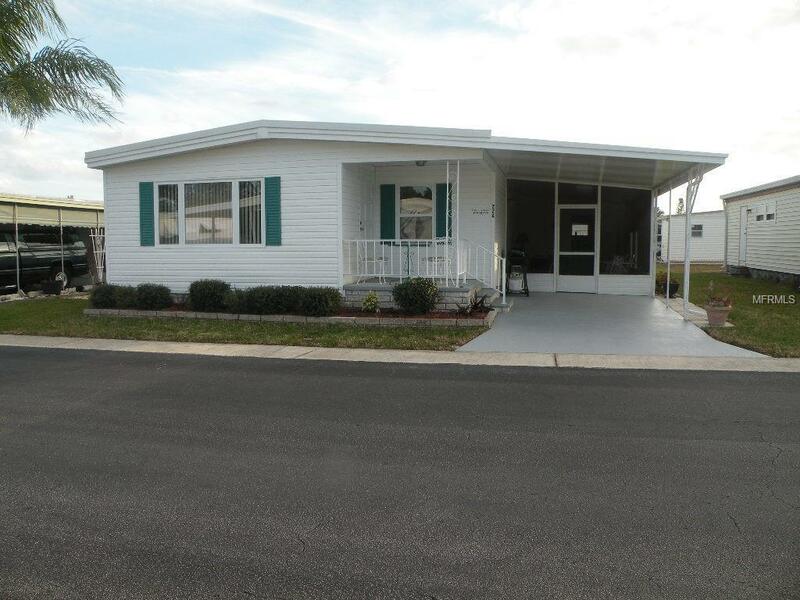 Pride of ownership shows all the way through this two bedroom, two bath, 1000 hsf double wide mobile home. The home has a roof over, siding, double pane windows, a cozy front porch and a freshly painted driveway. There is a delightful tiled screen room right off the carport. The utility shed with washer and dryer lies behind. A striking entrance door leads inside. All furnishings, including dishware, and linens will stay with the home. 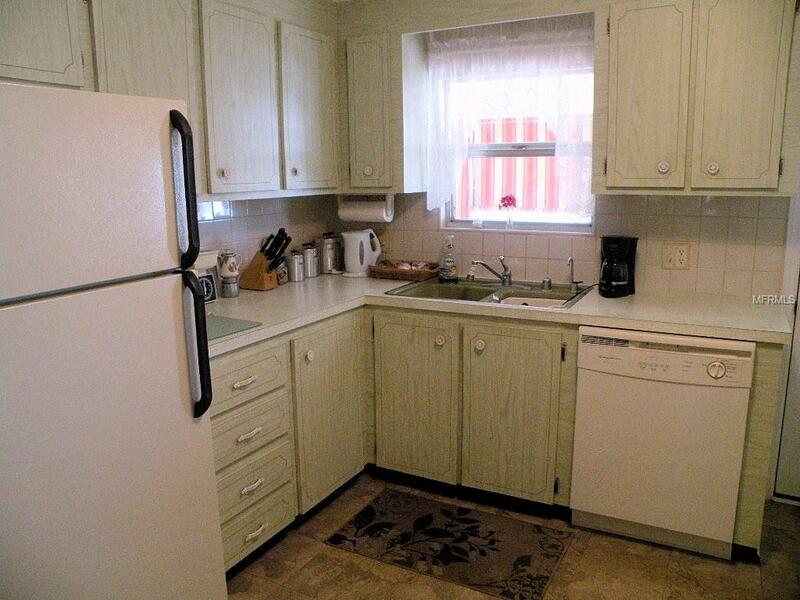 The kitchen is designed for a cook to move easily to prepare meals. 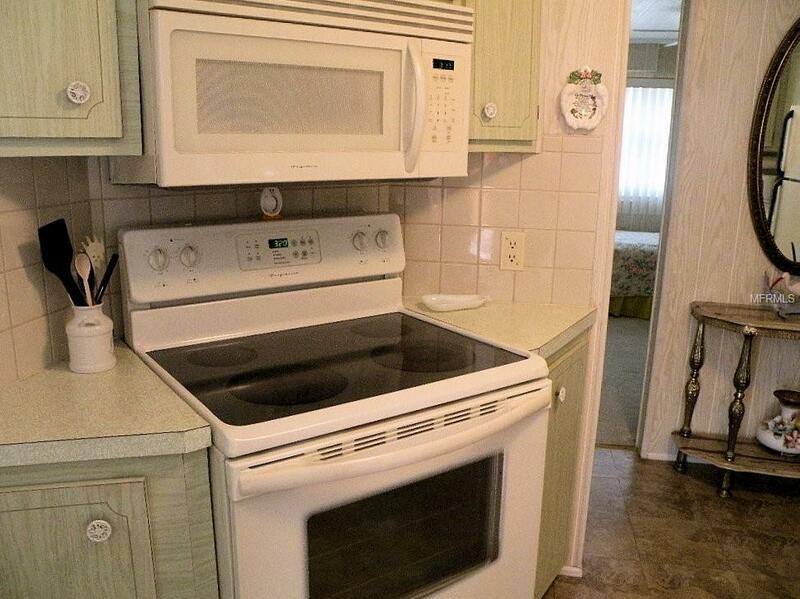 Dishwasher, smooth top range, built in microwave, and refrigerator all stay. Beyond the working kitchen is the relaxing living space. 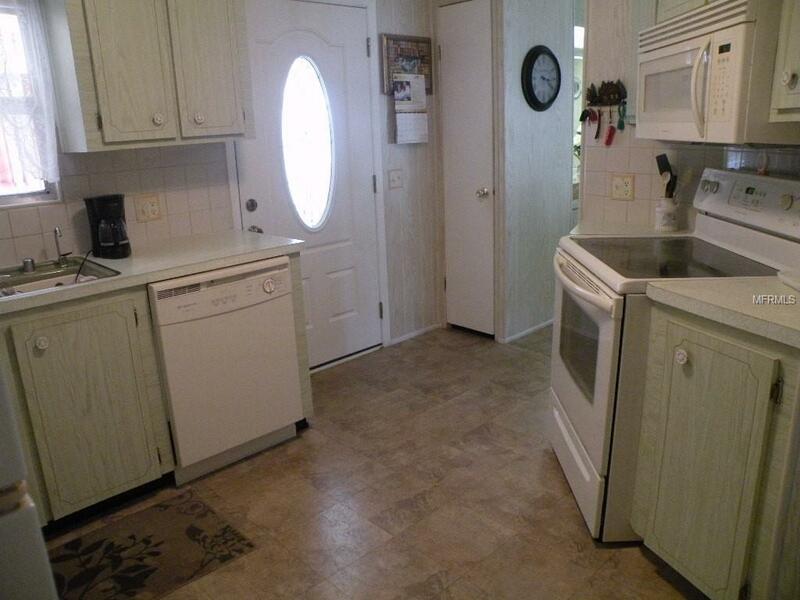 A dining area with a built-in hutch occupies one side and the comfortable living room the other side. Floors in the kitchen, dining space and halls had sub floors redone and vinyl floors added. The large master suite runs across the back of the home. Here there are side by side walk-in closets and lots of storage space. The ensuite bath has a vanity, linen closet, toilet, and shower. The hall bath has a tub with shower attachment Also worth noting are the cleanly painted ceilings, replaced toilets, and ceiling fans. The air conditioner was new in 2016. The share price of $30,000 is included in the list price. Simply call to set up an appointment to see this spotless home. While visiting you will marvel at all there is to do in this resort style community. From pools, community gatherings, tennis, shuffleboard, golf and relaxing with neighbors there is always something to do.